Deer Valley Driving School is the Top-Rated Driving School in Arizona. 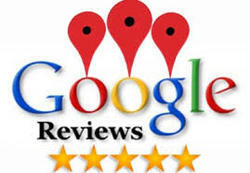 Click on our Google Reviews to see what our customers have to say. ​We pick you up and drop you off at your home, school or work for your driving lessons. We know every student is different and comes to the lesson with varied skills and abilities. We tailor each lesson to fit your needs. Our patient and friendly trainers are highly-qualified, certified by ADOT and have passed an FBI background check. Our school is a​ Drivers License Training Provider​ authorized by the MVD. If you are under 25, learning to drive with us can help you get a discount of up to 20% off your car insurance premium. If you are under 18 you can now take your permit test online, there is a link to get you started on the top of this page. Read the new, updated version of the AZ Driver's Manual to know what you w﻿ill be tested on. Get a free permit app (like DMV Genius) on your device and practice, practice, practice! It makes it easy and it's fun. Take some free practice tests online and once you start getting 100% every time, you should be good to go to the MVD to take your Permit Test. we pick you up and drop you off from school, work or home.